Our Fashion Editor has done all your hard work for you and researched what looks will flatter your body the most - no matter what size your clothes labels are! As a fashion writer, I would encourage people to wear whatever they like, first and foremost. I would discourage following fashion trends and other people’s opinions. Knowing your body, and what works for your shape and style is one of the most important things a girl (and guys) can know. You know what looks good on you, whether it’s a specific colour, or a certain cut, you know your body better than anyone. I know that everybody is different, however, I also know that sometimes we struggle to know what works for us. This includes me. Every day I’m still learning what suits my body and how new shapes and styles can help flatter my figure. That is why I decided to talk about body types, and tips and tricks on why specific cuts and styles work for certain body shapes. Often, it’s so hard to know what body shape you’ve got, and often the names can make it confusing, so let’s break it down. Fashion made easy! 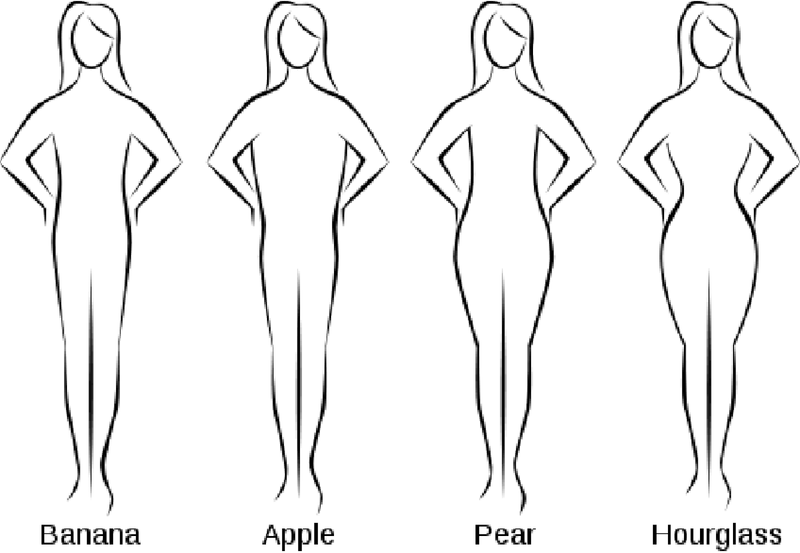 There are four main body types which are used within the fashion industry. These are; hourglass, apple, pear and banana. Are you curvy with a small waist? Then you’ve probably got an hourglass figure. One tip I would 100% stick by, is emphasising your waist. Belts should be your best friend, synching yourself in and highlighting that killer waist will emphasise your curves and create a look to die for. Don’t hide behind baggy clothes that are loose and shapeless, show off that bod! 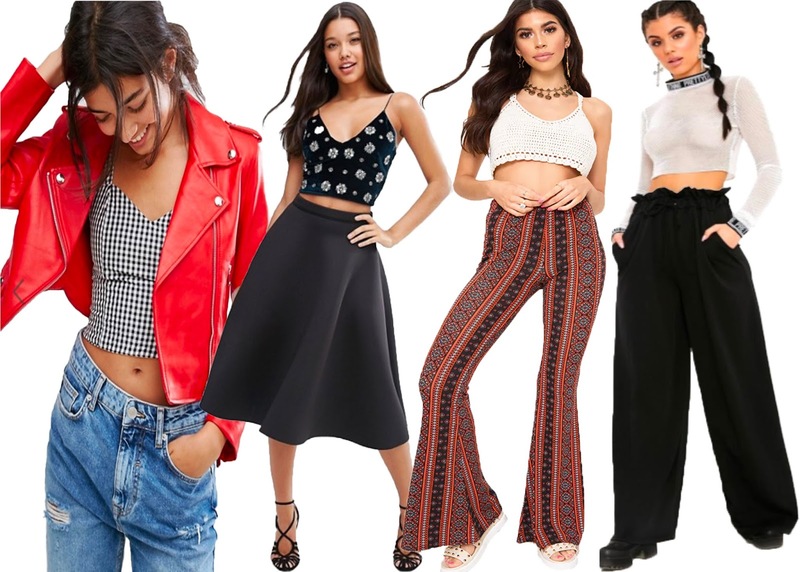 Wide legged trousers and crop tops are the items for you. By wearing wide legged trousers, you will automatically look taller, and the proportions of your body will be balanced out. Pairing these with a crop top, again allows your small waist to be emphasised, and creates a killer outfit ready for any occasion. Do you have slim legs and thighs, but carry weight around your middle? The body type you most relate to is apple. The part of your body which you want to emphasise is your shoulders and legs, to balance out the mid-section of your figure. Circle skirts and slim legged, cigarette trousers should be your go to when it comes to killer outfits. The volume in the circle skirt helps to draw the attention to your hips and legs. You should avoid high waisted garments, such as skirts or trousers, low rise items will be the best thing for your body type. Is the widest part of your body around your hips? Then you’re most likely to be a pear shape. To balance the bottom half of your body, when you’re dressing you should consider emphasising the top half of your body to create a balance between the two. Concentration on the width of your shoulders is key! A jacket which is extremely structured, paired with an A-line skirt will create a killer outfit for you to slay the night away. A possible leather jacket with lightly padded shoulder would help to balance out your hips and thighs, and create a cool rock star look at the same time. Do you lack in curves and have a body which is almost identical in width all the way down? You’ve probably got what’s known as a banana body type, or more commonly ‘straight’. Much like the hourglass figure, you should wear clothing which emphasises the waist, however, the aim of the banana body shape is to create a waist for the person wearing the clothes. My top tip for those of you with this body shape would be to wear block colours within your outfit. This will help to define the shape of your body. Some items of clothing which will look amazing on your figure are trousers with a slight flare, they will help to create some shape to your body. Scooped necks are amazing for your figure, accentuated with a statement necklace, you are set for a night on the town, looking a million dollars. No matter what your body shape, the most important thing is that you feel comfortable and happy in your own body. These are just some hints and tips of what will suit your body shape, but if you like something, wear it, and wear it with confidence! Written by VavaViolet's Fashion Editor Libby Burgess.